Relax by the tranquil Mediterranean Sea. 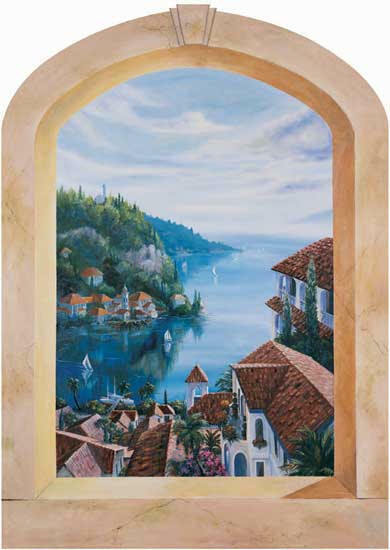 This full size trompe l'oeil (deceive the eye) art reproduction captures the beauty and warmth of a seaside village. 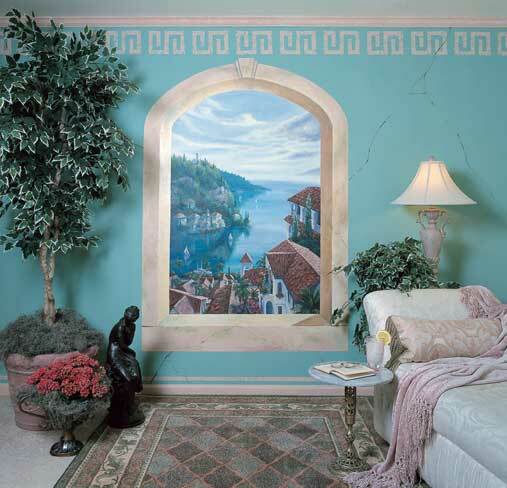 As a focal point in your room, the mural will tie together Latin inspired accessories. Consider placing the mural in your bedroom, den, dining room or anywhere you desire to add warm colors and dramatic interest. Many ideas are included in the illustrated Creative Idea sheet that comes with each mural.